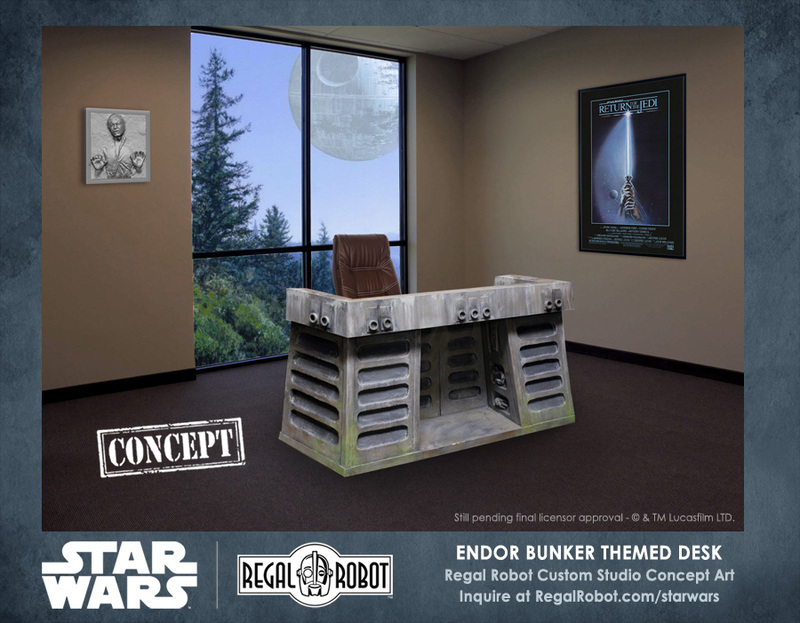 Official Custom Star Wars™ Furniture and Decor by Regal Robot™, an unprecedented opportunity for fans! 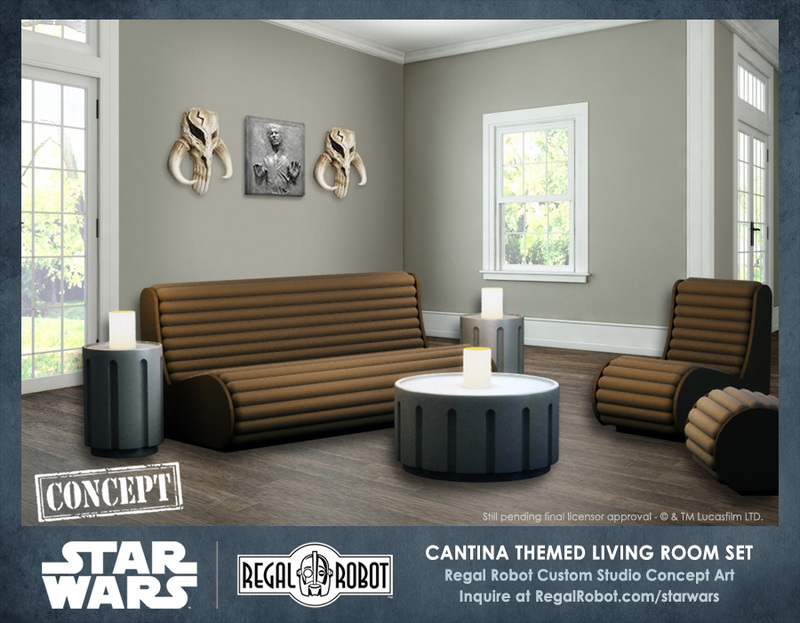 Lucasfilm and Regal Robot have teamed up to offer custom, special order and even one-of-a-kind official Star Wars furniture, art & decor. We can work with you to bring to life creations you’ve always dreamed of for your home, fan cave, or workspace, or create unique versions of our products, better suited to your needs, style or space. On our Star Wars Custom Studio page, you’ll find our currently available premium special editions, past custom creations we’ve made for private clients and even some concept art as inspiration to start the design process for your project! 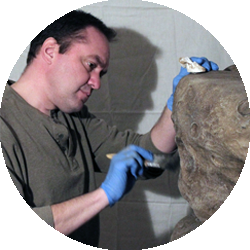 This post will take you through what we can do and what the custom process is like. 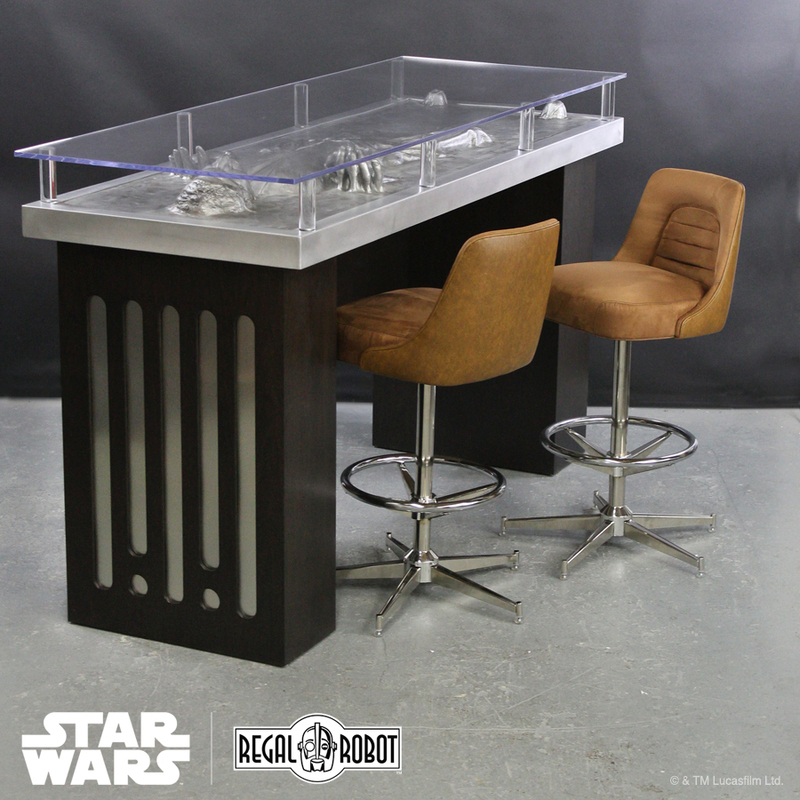 What Star Wars items can Regal Robot create? 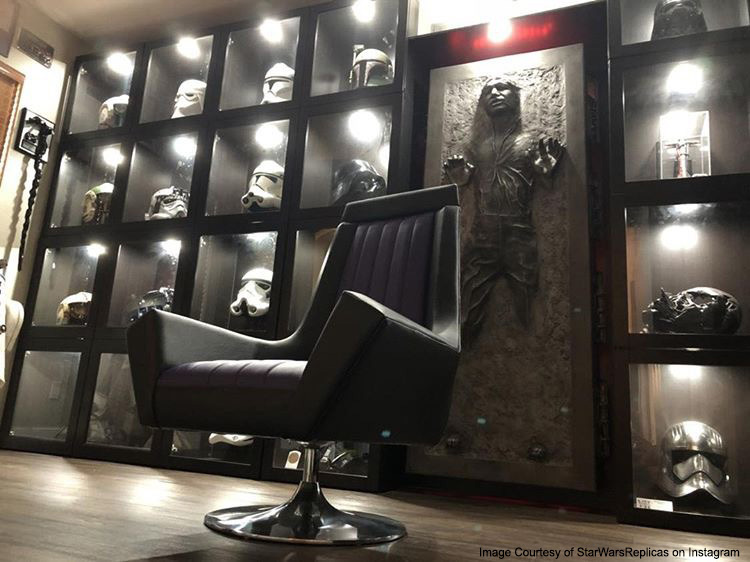 We accept commissions for custom Star Wars furniture and decor such as seating/chairs, tables, coffee tables, desks and storage items. Richard Riley and Tom Spina are our lead designers for custom creations. It starts with the ultimate in one-on-one attention – Custom project clients work directly with our company founder, Tom Spina, and our design team. Via phone and email consultation, they’ll brainstorm to find unique items we can create that match your loves, style and space. It all starts with an idea! You’ll commission us to create concept art for a piece of furniture or decor tailored to your needs, space and budget… and we’ll do it with an eye towards your interests, such as favorite characters, scenes, vehicles or locations. 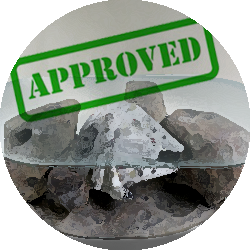 After you sign off on your concept, we’ll work directly with Lucasfilm to usher your unique product through the necessary approval stages for creation. We’ll then finalize all of the design and build budget details with you, and begin turning your dream into reality. 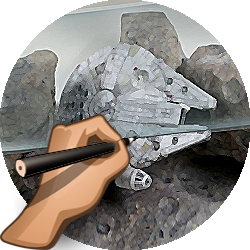 Working from the newly approved art and within an agreed upon budget, our skilled artists will create your more-than-made-to-order Star Wars item. We’ll keep you informed along the way with progress photos and, when the project is complete, we’ll ship it to you. Custom commissioned projects tend to require more time and budget as compared to a similar retail item, as a commission will need to encompass all phases of product development, which may include computer and hand drawn design, physical prototyping and sculpting, fabrication and finish work, and related testing and administrative costs. That said, you’ll have input in the design, helping shape the direction to your preferences rather than those of the mass market. It’s a process that can be incredibly rewarding! for my custom designed item? Cost of concept design often ranges between $1000-5000, depending on the scope and details of your project, the style of art and the approvals required. This fee will most often cover the initial custom consultation, and the “Concept” and “Approval” phases above. what does it cost to actually build something? The actual build price (“Creation” above) depends heavily upon the design, but when submitting your request, you can specify the budget for your build, and we can attempt to tailor our designs to stay close to that range for you. Due to the time involved in making custom creations, we can only take a limited number of these projects each year. Submit your custom request by filling out the form below to begin the conversation and learn what we can make for you! your custom request by filling out the form below to begin the conversation and learn what we can make for you! Here are some photos of various past custom studio creations and concepts!